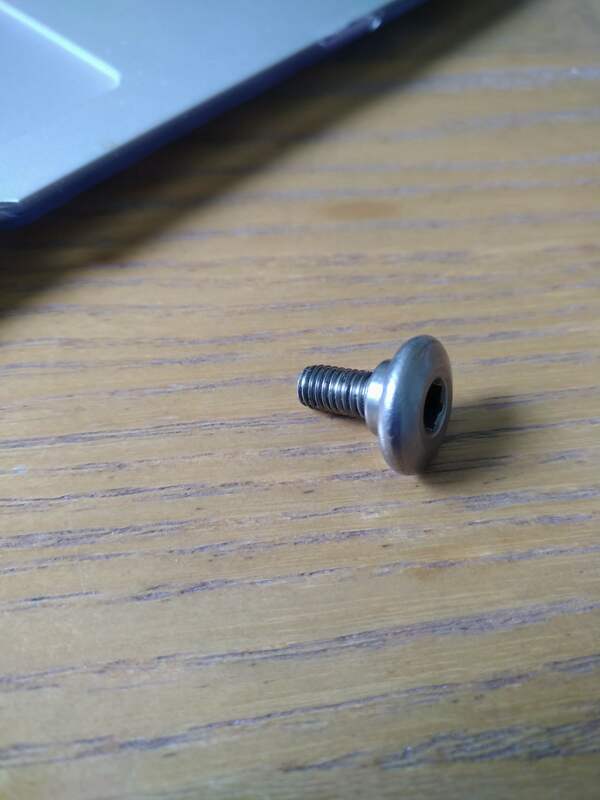 Hi all, I’m trying to find one of these shouldered allan key screws to hold a fairing on a Moto Guzzi Norge 2007 - I think it is an M6 16mm. Any ideas where I’d get one? I’ve mailed Gutsibits but I’d rather just go somewhere in real life where I can check I’ve got the right thing! For what its worth I can give it a name, it is a ‘mushroom head step machine screw’. Where you’d get one, if indeed anyone would want to supply just one, I don’t know. Looks almost identical to screws fitted to newer KTMs. Where do Guzzis get scrapped? Go there? Same one’s used for mid-2000’s Aprilia’s. It looks like a standard screw. As djmrmagic says there is probably an equivalent Honda Part. If you take it to the parts counter at Chiswick Honda they may have the equivalent in stock. They replaced some fairing fasteners for my bike that had vanished. It’s good to see so much interest in getting a screw. Not just any screw - a tiny screw!